South Korea is one of the most famous tourist destinations in Asia. Thanks to Korean drama and cheap cosmetic products, this country has attracted thousands of visitors each year. But being a visitor in South Korea can be challenging. There is still a large population of Koreans that don’t speak and cannot understand English, especially the ‘ahjumma’s (aunts) and the ‘ahjussi’s (uncles). 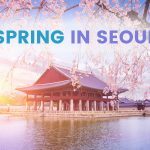 Planning to visit South Korea? As much as Google Translate is a convenient way to help you communicate with the locals, knowing basic Korean phrases can come in handy. Learning their language will not just allow you to survive Korea but it’s one of the best ways to gain friends and enjoy your stay. 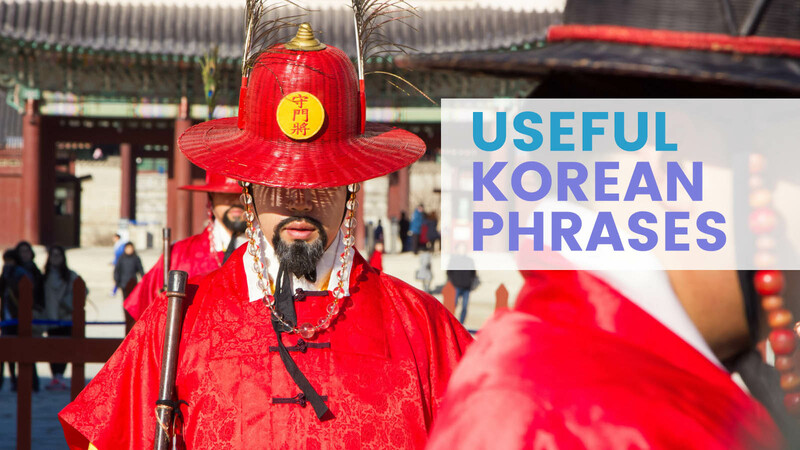 Here’s a list of phrases you might want to remember before going to South Korea. Anyeonghaseyo is the most common Korean phrase. It can mean “How are you?” and “Hello”. You can also use it to say “Good morning/afternoon/evening”. Whenever you ride a bus or the train, buy something from the convenience store or approach a stranger, saying ‘Anyeonghaseyo’ with a smile on your face would be a good start to a lovely stay in South Korea. Jamsimanyo and Jamkkanmanyo are terms for “Excuse me” but they literally mean, “wait a moment please”. These expressions are especially helpful when you try to push past people in crowded places like the subway or inside the bus. When you need to call a waiter in a restaurant or you need to ask something from a local, you say Joegiyo. It also means, “Excuse me”. It’s like saying, “Hey you over there!”. This is going to be one of the most useful expressions to learn when you are in Korea as it is used frequently to grab someone’s attention before starting a conversation. This, however, cannot be used when passing through crowds. One phrase that is essential to a traveler in Korea is this – “juseyo”. This phrase literally means, “give” but it is used much like the English “please”. This is particularly handy when ordering food in a restaurant. 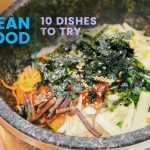 Say you want more “kimchi” or you need water; just say “kimchijuseyo” or “mul (water) juseyo”. It’s like saying “kimchi/water, give” or “kimchi/water, please”. Korea is a shopping haven. If you are going to Korea and plan to splurge, then it is a must to learn this phrase, which means, “How much?” When shopping in Korea, prices are not always indicated on the products so it is best to ask how much they are by asking the saleslady “Eolmayeyo?” Be ready to receive answers in Korean so just ask them to show the amount using the calculator. Since we’re already talking about shopping, it will be useful to learn this phrase, “kakajuseyo” means “discount please”. However, some would find this offensive, so some people suggest using “ssagehaejuseyo” which means “make it cheaper please”. If you find yourself in Namdaemun Market, Dongdaemun, Insadong and Underground Shopping Centers, don’t forget to use this phrase for more chances to get a discount. Wherever we go, there is one place that everyone looks for – the toilet. Though toilets are scattered everywhere and are easy to find in Seoul and other parts of South Korea, it will still be helpful to know how to ask a local where the toilet is, just in case you couldn’t find one. Just say “Hwajangsil (toilet) Odieyeyo (where)?” When you ask in Korean, expect an answer in Korean so the following phrases will be worth remembering as a response. Joesonghamnida is the polite way to say, “I’m sorry”. If someone speaks to you in Korean, you can say this phrase as a response. If you accidentally bumped into someone, you can simply say ‘sorry’ or better yet “joesonghamnida”. 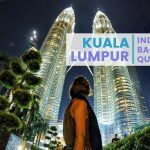 Being in a country where the culture and the language are different, it’s likely you’ll make mistakes even if you’re just in the country for a short time. Learning the local language for apology would be very useful. South Koreans, especially the elders, will speak to you in the local language even if they know that you are a foreigner. The best way to respond is to say sorry in Korean, which we learned earlier and tell them “Na HangukmalMoteyo” which means, “I don’t speak Korean”. Expect them to still speak in Korean but at least they would know and understand why you are not able to respond. If you don’t remember any of the above phrases, knowing how to say “thank you” in Korean is pretty much all you need to know to survive. 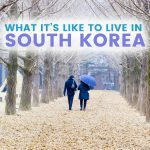 You will meet a lot of people while in Korea, and every one of them will make your stay memorable – the waiter who continuously replenishes your side dishes, the old lady who cleans the toilet, or the nice lady who explains all the benefits of the different cosmetic line in the make up shop. Hearing ‘kamsahamnida’ from someone who comes from a different culture and speaks a different language will definitely make his or her day. Exploring another country is a very good way to understand and appreciate other people’s culture. Learning the local language and its writing can be fun but definitely challenging. But if you are in Korea for only a short while, a little knowledge of their language can take you a long way! Armed with all these expressions, you are now ready to conquer the Land of Kimchi and Lee Min Ho. 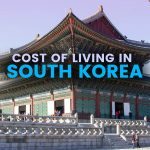 How Expensive is it to Live in South Korea? I am a wife to a scientist/engineer who wants to win a Nobel Prize, and a mother to a future world-changer. I love traveling, singing, and spending time with young people, but what I enjoy doing most is writing letters to my daughter about my life experiences hoping she can learn from them someday. 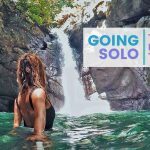 I have lived in London, Singapore and am now in South Korea but looking forward to experience living in either Europe or Australia, or even South Africa.